10 Monogrammed Must-Haves for a Day at the Park! BEST DAY EVER! At the beginning of January, my family and I got to take a trip to DISNEY and it happened to be my first time going - ever! 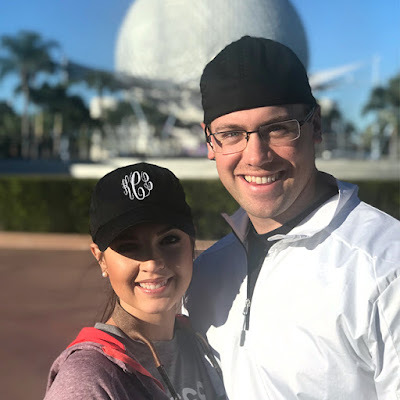 I was SO excited to visit all four Disney Parks and finally get to experience the Happiest Place on Earth! Even with all the anticipation and excitement, I have to admit that packing for the trip was a little overwhelming. I knew I wanted to pack cute (but also comfy) clothing, essentials for long days at the parks, and of course, MONOGRAMS! 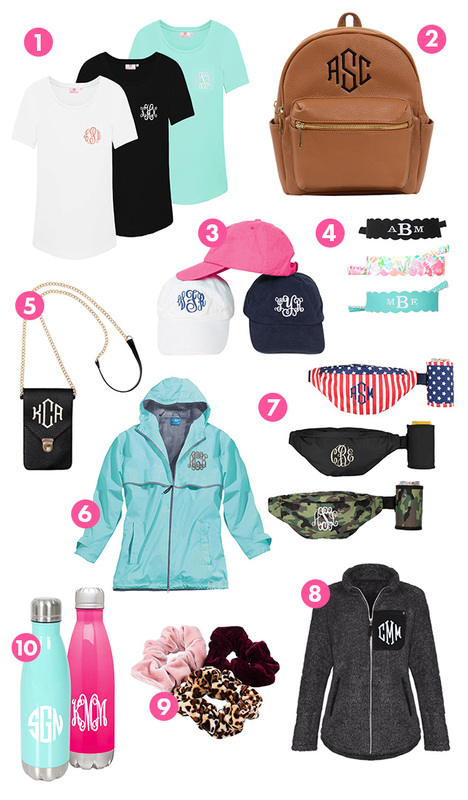 So, Here are 10 Monogrammed Must-Haves for a Day at the Park - including some of the things I took, and some things I WISH I would have taken! Y'all, these tunic tees are the BEST. The solid colors and tunic length make them perfect for pairing with leggings or yoga pants so that you can stay cool and comfy in Florida weather and be cute at the same time! I actually took two of these tops - black and mint. My Monogrammed Boyfriend T-Shirt in Black was great for wearing with colored yoga pants! 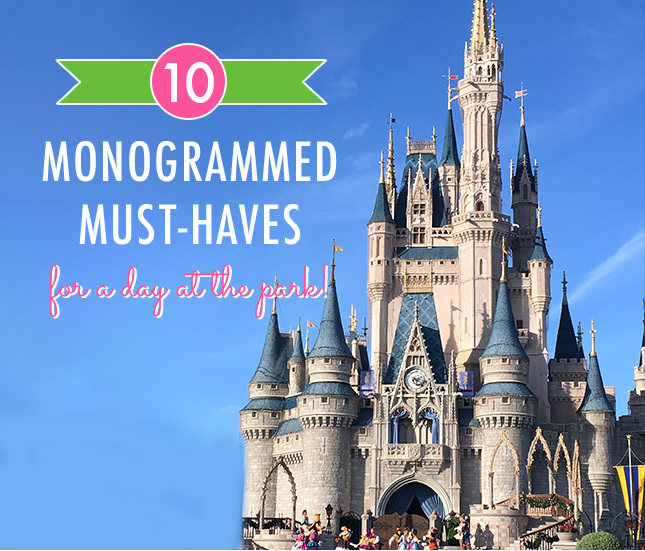 This is an absolute MUST for any trip to the park! It's perfect in size, monogrammed, and easy to adjust the straps. This Monogrammed Backpack is great for carrying your phone, water bottle, a light jacket, and any passes or tickets you may need will fit in the front zipper pocket! Plus, it features tan faux leather so that it will match any outfit you pack for your trip! I especially love the fact that this backpack is small so that you don't pack it too full for a long day at the park. 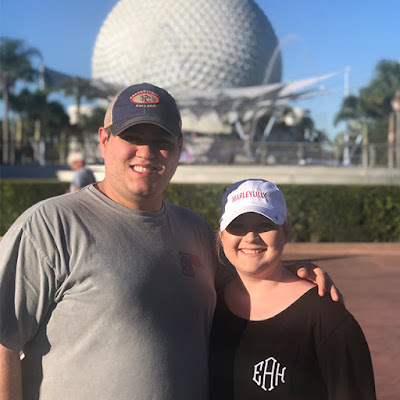 I sunburn so easily, so my Monogrammed Hat was definitely a life saver for me at Disney World. I didn't have to worry about what my hair looked like, it matched all of my outfits, and keep my face mostly out of the sun! Pick from so many solid colored and patterned hats here! 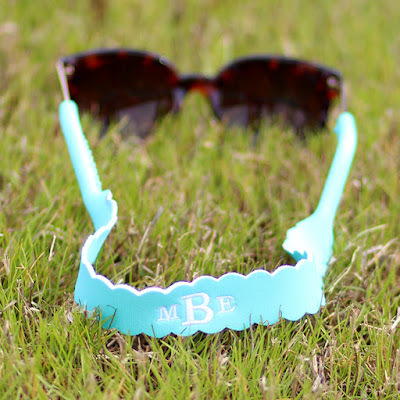 If a visor is more your style, be sure to checkout this Monogrammed Visor! 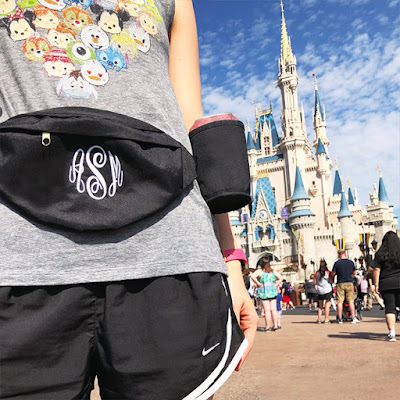 If you're anything like me and LOVE all of the rides and rollercoasters at Disney, then you definitely need these sunglass straps to make sure you don't lose your sunglasses! In sunny Florida, I wore my sunglasses pretty much the entire time during each day, so I needed a way for them to stay around my neck while riding rollercoasters, and these were perfect! I think we can all agree that losing your phone is pretty much the worst thing ever - especially when you're on a photo-worthy trip! 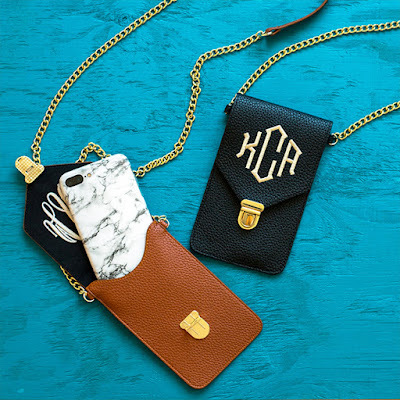 Don't worry, this Monogrammed Phone Crossbody will solve that problem! This crossbody fits most phone sizes and has a clasp to keep your phone secure inside. I wish I had taken one of these to Disney with me because I was constantly taking my backpack off to get my phone and take a photo. Having my phone right on my side would have made things easier! This item is on the 'must pack but may not need' list! 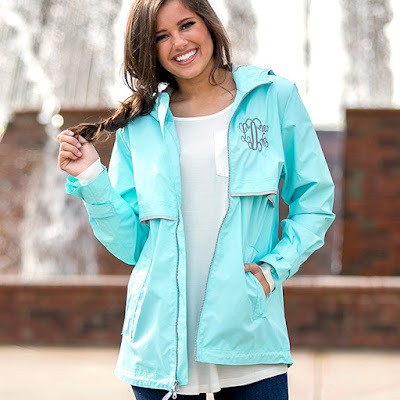 I made sure to pack my Monogrammed Rain Jacket just in case! You never know when a downpour may occur, so it's always good to be prepared for the rain. 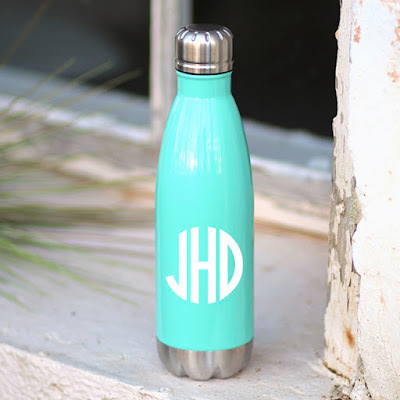 What better way to be prepared than with monograms?! With my trip to Disney being in January, it made for the most PERFECT weather! It was beautiful and sunny during the day and just a little chilly during the mornings and at night. 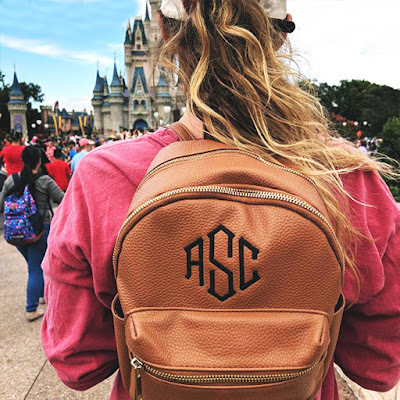 I made sure to pack my Monogrammed Sherpa Jacket to have on hand during those chilly times! It was great because it's easy to layer with, lightweight but cozy, and great for putting away in my backpack if needed! 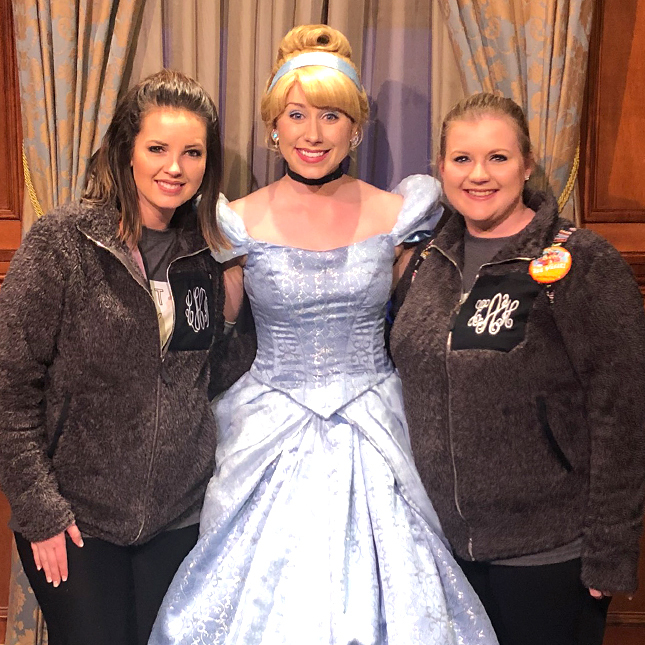 Plus, Cinderella approved of my monogrammed style! Scrunchies are BACK and better than ever! On days that I wore my hair down in Disney, I made sure to have (at least) one scrunchie on my wrist incase I needed to pull my hair up! 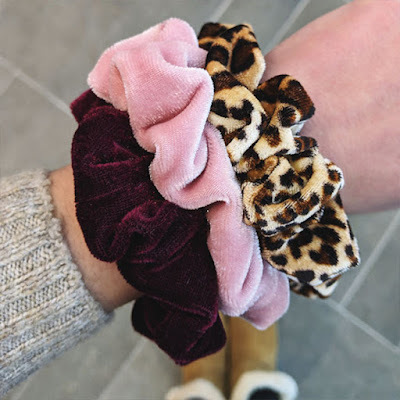 No need to be hot with your hair in your face when you have a super cute scrunchie to use!